I remember getting out of a DB9 and into an Porsche 911 around 10 or 11 years ago and the difference being night and day. That has all changed. 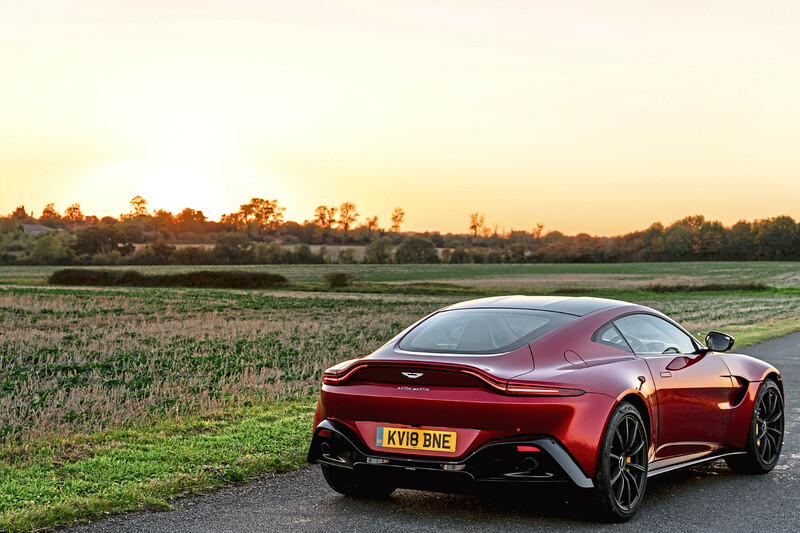 After an afternoon spent charging around the Northumberland moors in the all-new Vantage I can confidently declare Aston has made a car that drives as well as it looks. The Vantage was launched earlier this year. 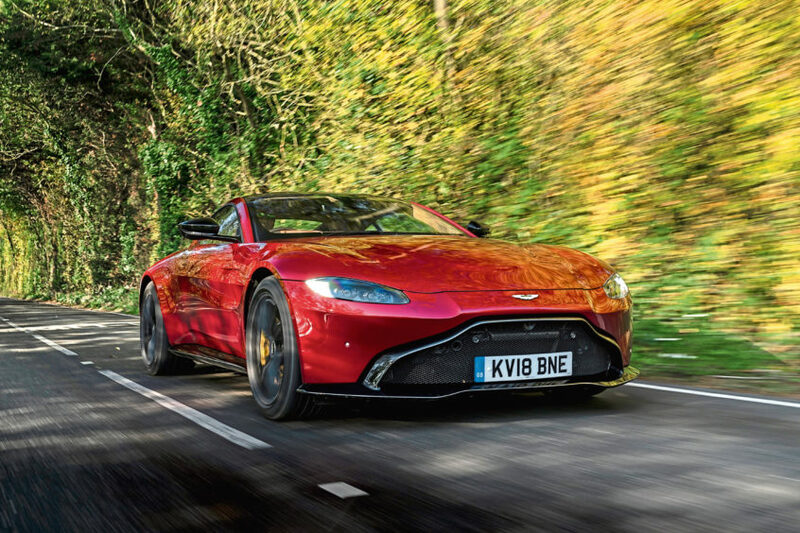 With prices starting around the £120,000 mark (before you plunder the deep and opulent options list) it’s the cheapest – or least unaffordable – car in Aston’s line up. 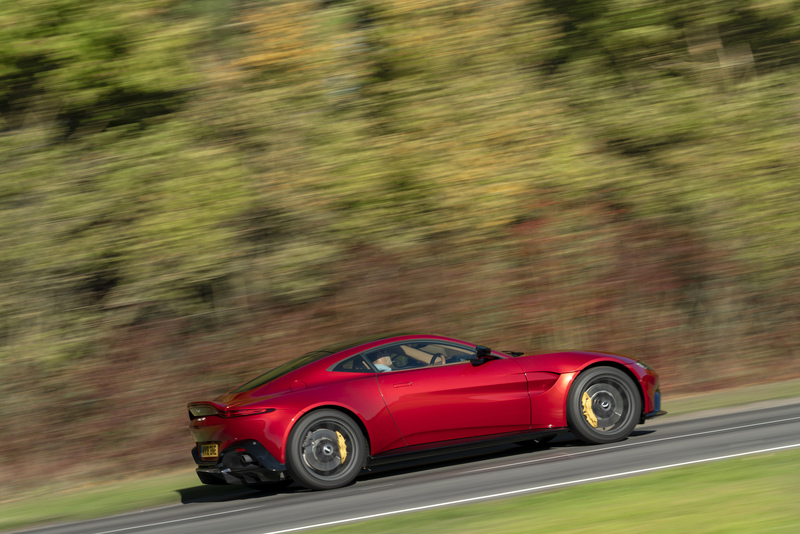 The two-seat sports car shares many of the same parts as the more expensive DB11 and uses a 4.0 litre twin-turbo V8 sourced from Aston’s part-owner Mercedes. It develops 503bhp, which is enough to get it from 0-62mph in 3.6 seconds and on to a whopping 195mph top speed. Aston Martin has always made good looking cars and the Vantage is particularly pleasing on the eye. Beautifully proportioned with a low-slung, aggressive stance it manages to be both muscular and elegant. 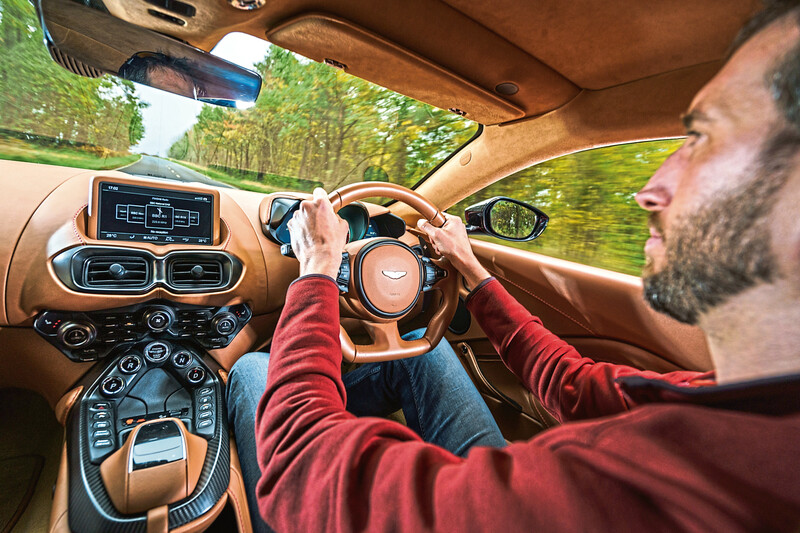 The interior is as classy as you’d expect from Aston Martin, with plenty of soft leather and switchgear also borrowed from Mercedes. There’s plenty of head and leg room for even the tallest driver and it’s easy to find a comfortable driving position. 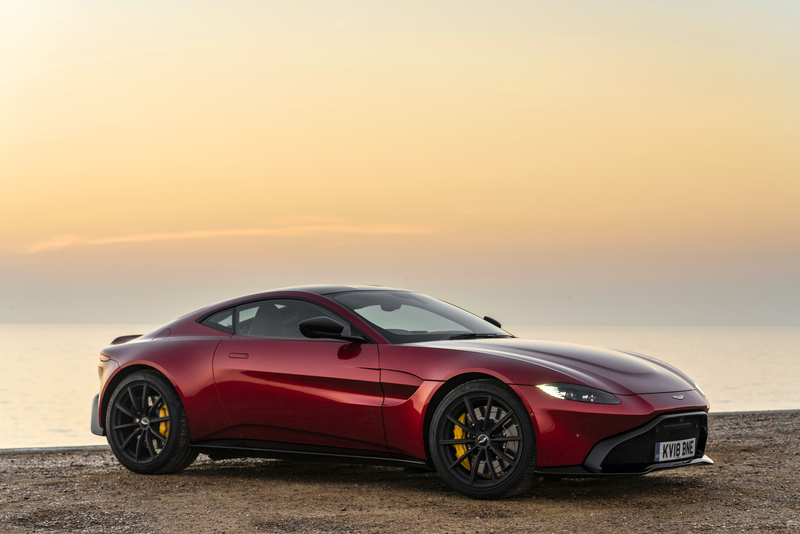 The most impressive thing about the Vantage is how well it drives. With all that power, it’s no surprise the car roars towards the horizon when you squeeze the throttle. The twin-turbo V8 makes a delightful growl when it’s opened up and the eight-speed auto starts ripping through the gears. It handles beautifully, with a nimble feel that makes it easy to guide round corners. 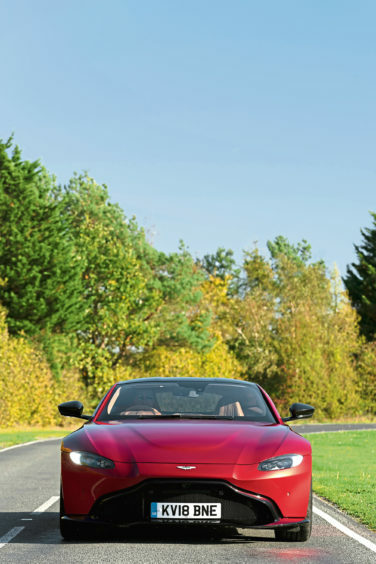 When you’re not in the mood for supercar performance the Vantage is surprisingly refined. It’s comfortable and quiet enough for long commutes, even returning around 27mpg if you drive with a bit of care. It may have borrowed an engine and some buttons from Mercedes, but the Vantage is a true Aston Martin. Beautiful outside and in and with a real feeling of craftsmanship throughout, it has a timeless elegance that more showy supercar rivals lack.